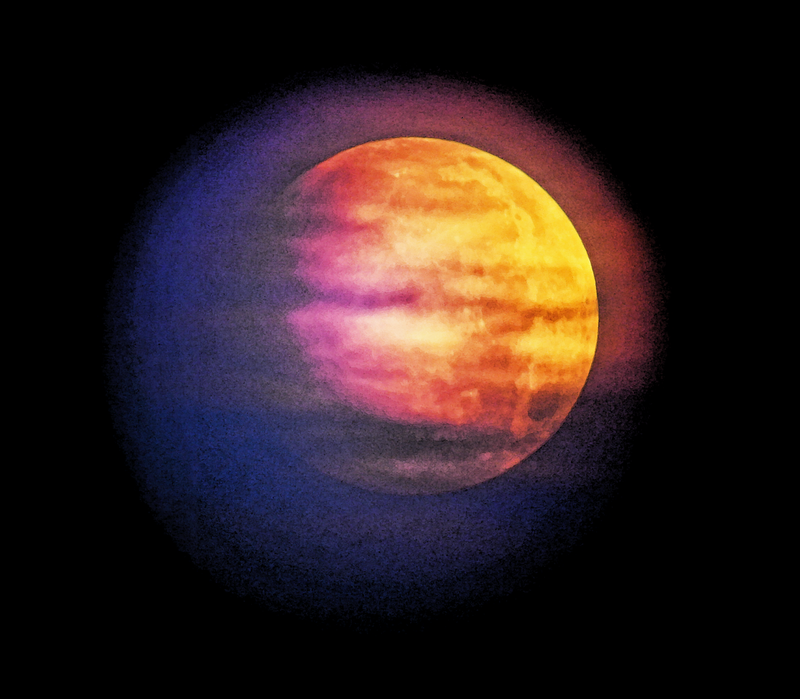 If you haven’t heard of a penumbral lunar eclipse, now’s the time to learn. Because on Friday night, February 10, North Americans will have a front-row seat for the penumbral lunar eclipse, which is different than a total lunar eclipse. Instead of the sun, Earth, and moon aligning perfectly, a penumbral eclipse involves the moon passing through the outer part of Earth’s shadow, so only a small sliver of sunlight bounces off. The eclipse lasts for about four and a half hours and will occur in the early evening hours if you’re on the East Coast. The best time to watch will be between 7 p.m. and 8:30 p.m. Eastern. The peak of the effect will be around 7:45 p.m. when the moon is almost fully immersed in the penumbra shadow. The moon will be blocked by Earth's outer shadow, the penumbra. Earth’s shadow has two dimensions: the umbra and the penumbra. The umbra is the stronger, denser shadow, which blocks the moon entirely during a total eclipse, offering up a few moments of complete darkness. But, the penumbra shadow is very faint, so the moon will simply just look dimmer. Penumbrals occur two to four times a year, making them fairly common for our celestial calendar. Total lunar eclipses are much rarer, and the next one won’t be until January 2018. Comet 45P/Honda-Mrkos-Pajdusakova will make a close pass traveling at 22.91 km/second, to the Earth-Moon system, at 3:23 a.m. Eastern time. If you stay up late enough on Friday, you can look to the Western sky for Comet 45P/Honda–Mrkos–Pajdušáková, which streaks by around 3 a.m. Eastern. If you happen to be up, know that it will be a pale green color (from its fluorescent carbon gas). “You will need an extremely dark sky and optical aid (at least binoculars, probably a telescope) to see this comet,” advises Deborah Byrd of EarthSky about Comet 45P. So, if you’re looking for a change of pace this Friday night, ditch the TV and watch the night sky. If you can’t make it outside, watch the “Full Snow Moon Eclipse” broadcast.